Advanced Supramolecular Nanoarchitectonics provides the latest information on design at the nanoscale, presenting a range of the new challenges that arise when the manipulation techniques that work at the macro- and micro-scale do not work at the nanoscale. Nanoarchitectonics approaches material design via a profound understanding of the interactions between individual nanostructures and their organization. 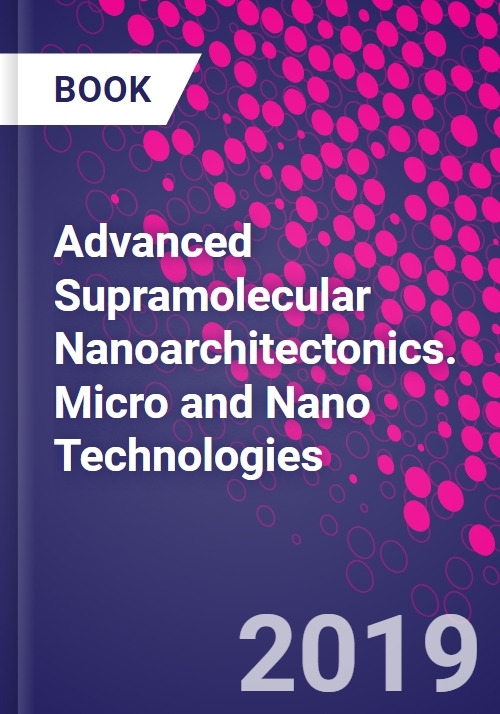 This book presents the more advanced features of this research paradigm, focusing on the materials fabrication of self-defined nanostructures and demonstrating possible applications of these fabricated materials. Katsuhiko Ariga has been working on supramolecular chemistry especially related with self-assembly processes, ultrathin films and molecular recognitions. Accomplishments in his researches contribute significantly developments of biomemetic systems as well as physicochemical understanding on interfacial phenomena. Especially, pioneer researches of layer-layer supramolecular assembly have been highly evaluated, and he is also recognized as an authority of supramolecular recognition at the interfaces. Total citation of entire researches exceeded 7000 times. Now, his research team is working on frontier researches for supramolecular materials through entire bottom-up process. Masakazu Aono is highly recognized worldwide for his many distinguished research results over 35 years in the fields of surface science, nanoscience, and nanotechnology. His research is characterized by originality for making epochal advances and by surprising results. e made with his group at RIKEN and later at NIMS pioneering contributions both with novel analytical instrumentation and in novel, advanced technologies and nanochemistry, demonstrating both astonishing scientific and technological depth and breath in "Nano".